If you've been looking for 3/4'' Coronet Prince of Wales Mens Spurs with Straps & Box you came to the right place. This specific model of Mens Boot Spurs happens to be one of our best sellers due the it's impecabble craftsmanship and affordable pricing. These beautiful Coronet Boot Spurs are constructed from stainless steel. 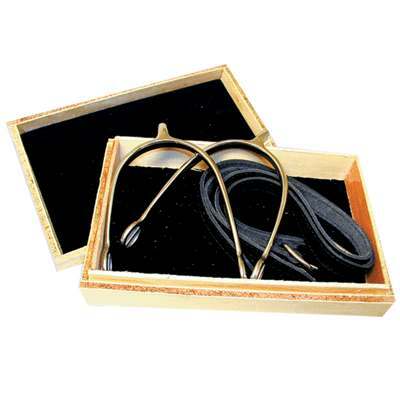 They are ideal for use at the horse show and come with leather straps. To maintain the beauty of the spurs they are placed into a box. Get your Boot Spurs for Men today at Horse Tack Now, Your number one source for Mens Spurs and thousands of other Horse Tack products.